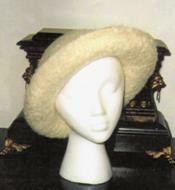 We carry patterns from our various yarn companies to support their yarns. In addition, we carry patterns from an amazing selection of designers.. The projects run from doll clothes, infant, kids and adult garments, accessories and household items such as afghans and pillows to whimsical whatevers. 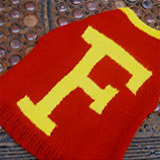 Techniques run from felting, knitting in the round, piece knitting, using colors, Aran stitch patterns to lace knitting.. If we don’t have it, we can find it for you! We are carrying patterns from the following designers and design companies. 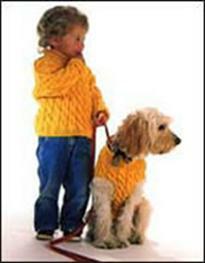 They represent a wide range of difficulty and fashion styles. COTTEGE CREATIONS – Carol Anderson has been creating these patterns for an number of years now. 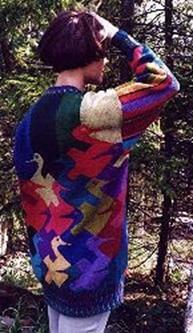 Everyone knows her Wallaby Sweater pattern but there are more in her portfolio. 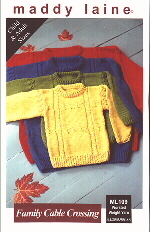 From infant to adults her easy to knit sweaters are enjoyed by many knitter. 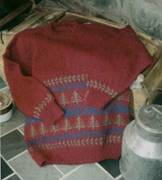 There are a number of project booklets also, from afghans, to accessories and various community knitting projects. You can find something for everyone. There is a familiar, homey feeling to both the patterns and the format. Carol is a well known teacher in our Midwest area as well so she has constant contact with knitters and hears what them want directly from them. COUNTRY CHILD – Terry Preisner has been designing ‘Classic Style With Distinctive Designs’ patterns for 23 years. She brings out new patterns as well as having many of her older favorites available. 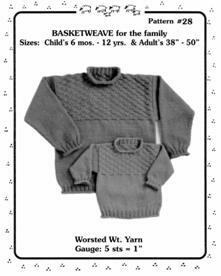 Her garments are from infant upward and you will find patterns for any gauge of yarn in her collection. Besides garments she designs patterns for accessories and household items. While not for the beginner, they are for the adventurous intermediate and up. Well written with good graphs. Designs By Judith are multi-gauged patterns in a wide range of sizes. I like to think of these patterns as template patterns where you can plug in the yarn of your choice and create your own one of a kind garment. 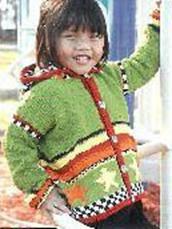 ST. SERAPHINA – MN designer and award winning children’s author Kris Franklin designs garments and shawls. She often uses lace stitches. Her aim is to have the pattern complete on one page and clearly written. These are great patterns for the beginning lace knitter. But she doesn’t stop at lace shawls, her garment patterns are good for the beginning knitter too. 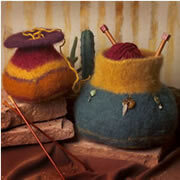 TWO OLD BAGS – These MN designers bring a wide range of different styles of knit bags to the shop. Many are felted but not all. At least two are knit from strips of fabric. They also have a very good mitten pattern. 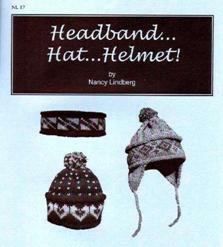 Very well suited patterns for the beginning and intermediate knitter. 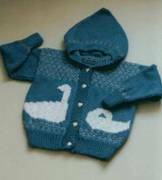 We have not added as yet our doll clothes and toy pattern sources, some from the above designers but a number of others as well.